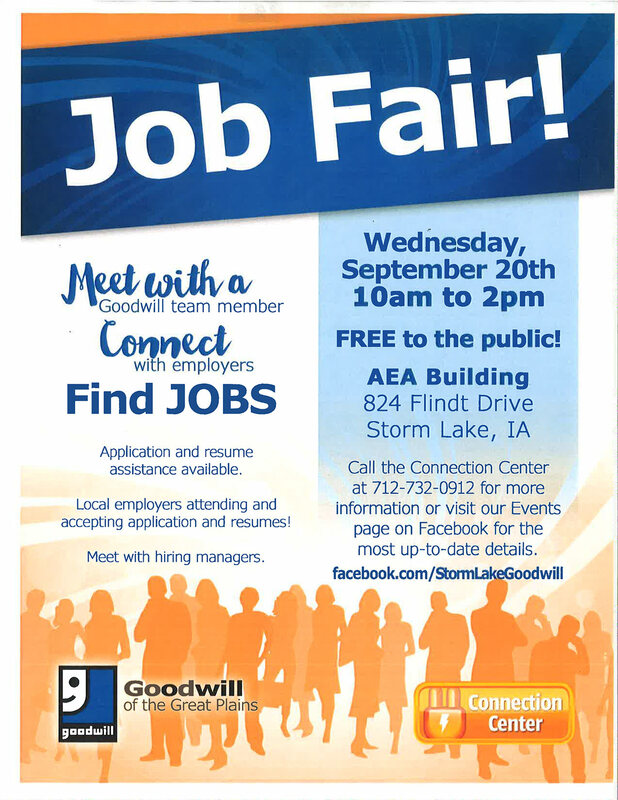 The Storm Lake Job Fair will be Wednesday, September 20th, 2017 from 10am-2pm in the AEA Building located at 824 Flindt Drive in Storm Lake, IA. The Job Fair is free and open to the public. For more information call: 712-732-0912.